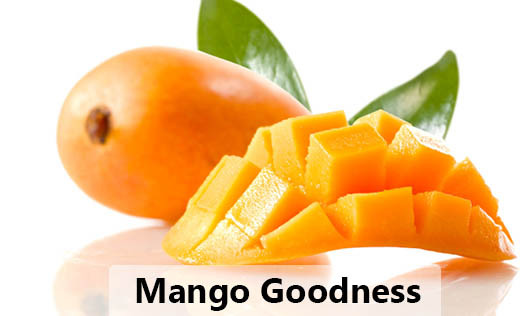 One of the most delicious fruits, mango is truly called the ‘King of Fruits'. A tropical fruit, it comes in many different varieties, each of them totally delectable. In addition to sumptuous tropical flavor, mangos deliver a host of nutrients and makes healthy eating a delightful sensory experience. Mangoes are an incredibly healthy snack. You can eat the entire fruit for just over a hundred calories. High in fiber, virtually fat-free, and mangoes contain numerous vitamins like beta-carotene, and have been found to have powerful antioxidant and anticancer properties. It is easy to see why tropical mangoes are considered a super fruit. There are numerous ways to enjoy your mango. * Mangoes can be sliced, diced, and julienned into fruit salads. They make a delightful, tangy addition to tossed green salads, also. * Pureed in the blender, mangoes add delectable sweetness to smoothies and creamy sauces over fruit salads. * Enjoy fresh mango chutney with diced mango, diced onions, a touch of vinegar, salt, and diced chilies. * Try diced mangoes on your cereal and use them as a dramatic garnish over grain or legume dishes. * Sorbets are a refreshing way to incorporate mangoes into your summer menus.